each Ticket cost £1 each. Persons under 18 years of age are not eligible to participate. Entrants enter 4 numbers between 1 – 24 inclusive on the lotto ticket, returning the small section with their name and contact details to the agent/club and retaining the larger section. Tickets incorrectly completed, altered or defaced will be treated as void. Any Lotto tickets entered after 3 pm will be entered into the following draw. No responsibility will be accepted for tickets/monies received too late for any draw. All four Numbers marked on the Lotto ticket must match the 4 Numbers drawn for that date to win. Should there be more than one correct entry the jackpot will be shared equally between the winners. Fivemiletown United football club shall decide, according to ticket sales when and by how much the jackpot will be increased. Proceeds from the Lotto will go towards the development of Fivemiletown United Football Club. 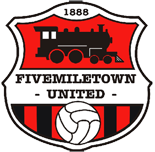 The decision of Fivemiletown United Football Club is final.